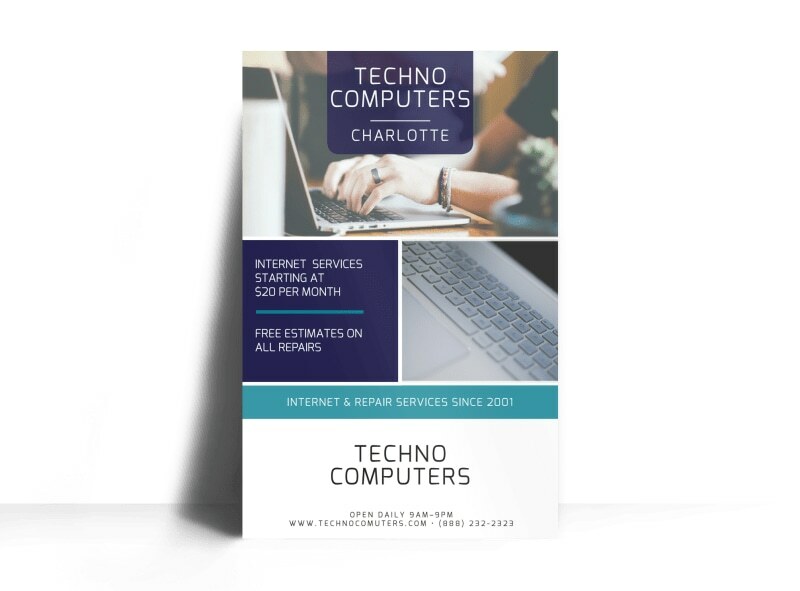 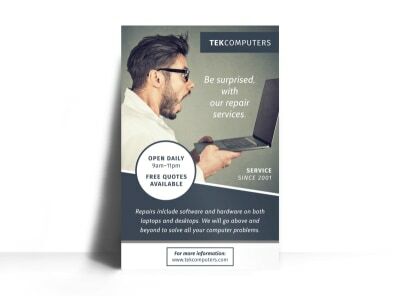 Customize our Techno Computer Repair Poster Template and more! 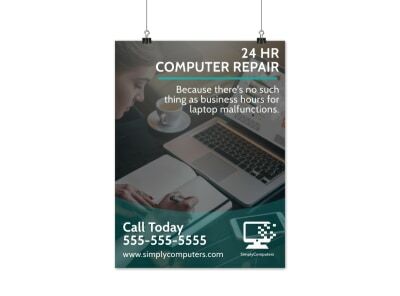 Get customers wired up about your computer repair business. 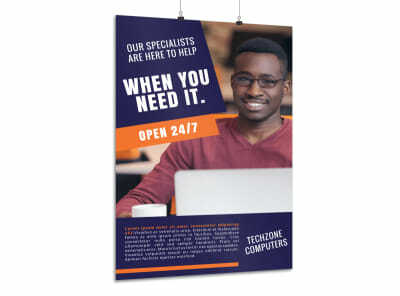 Inform the locals of what you have to offer by creating your own unique poster. 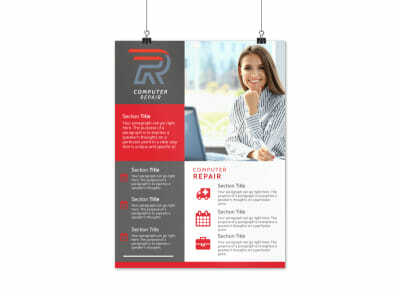 Add images including business logos and before and after pictures of some of your work. 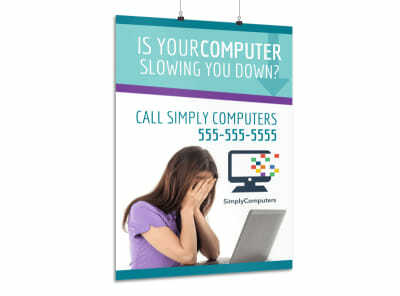 Print now for fast access to your poster or let us print for you.